Last week was quite astonishing in many ways, not in numbers of species taken but the ease of getting them. 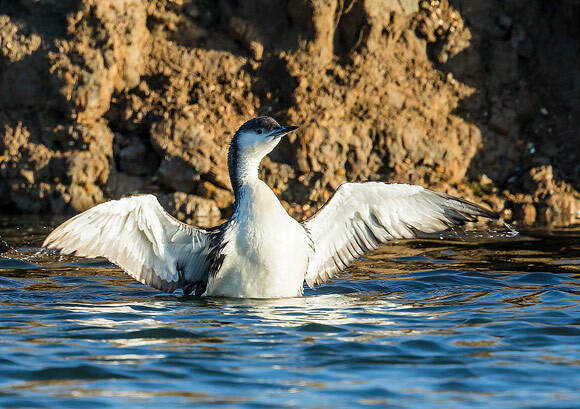 Nearly 700 photos later, and all of a bird that I had photographed at length during my trip last year to Iceland, I had some work to do to edit them. 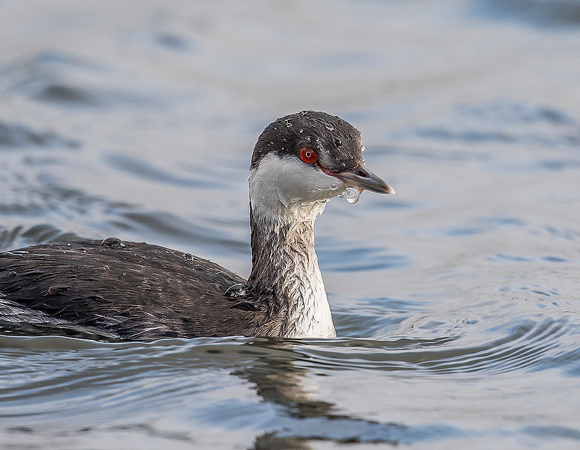 It is interesting to compare these photos of the bird in winter plumage with the same species in summer breeding plumage. The difference is quite staggering. To end the week, I ventured out with my friend Neil on Friday 30th November. 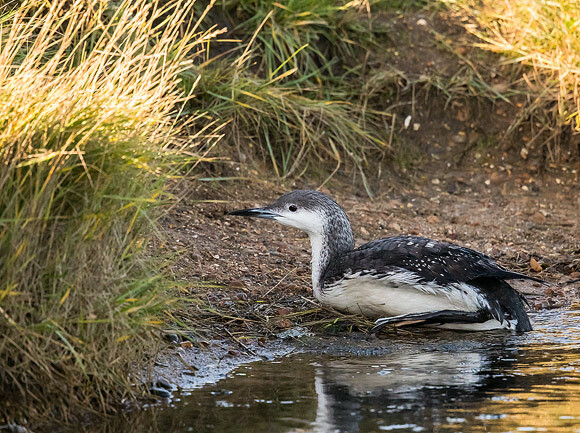 We had noticed that a bird neither of us had ever photographed before, a Black-throated Diver has been reported on a lake in Essex. 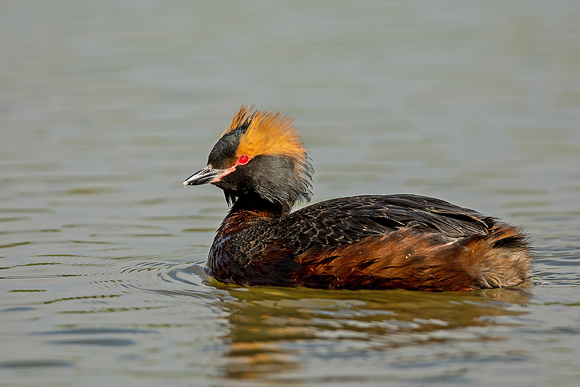 This species is stunning in summer plumage but this was winter plumage but beggars can't...you know the rest. 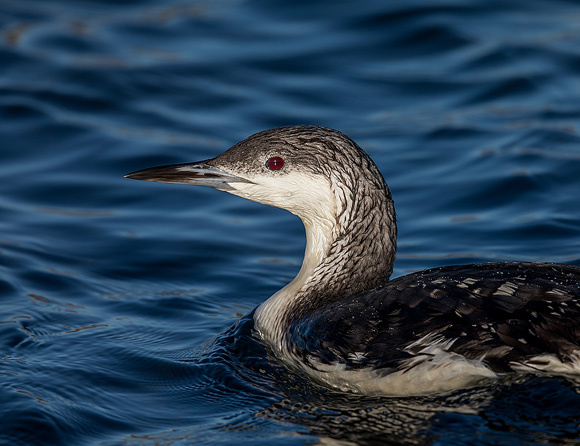 It is also called an Arctic Diver or Loon (American) so this indicates where it spends most of it's time during the summer migrating south during the winter. 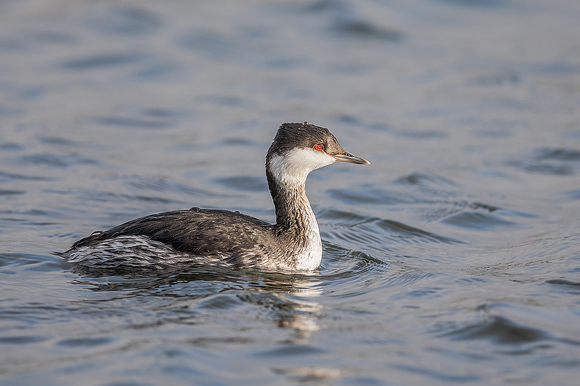 Arriving at the lake side, we were informed that the bird was still there but had just disappeared into a small reedbed. We made our way to the south side of the lake (yes, it was a sunny day) and shortly after we had set up, it appeared on the far side from where we were. Not too bad as the lake was not large. We took some shots and the bird dived... to surface right in front of us, too close to focus. It slowly paddled away from us, getting in focus. This shot is uncropped. 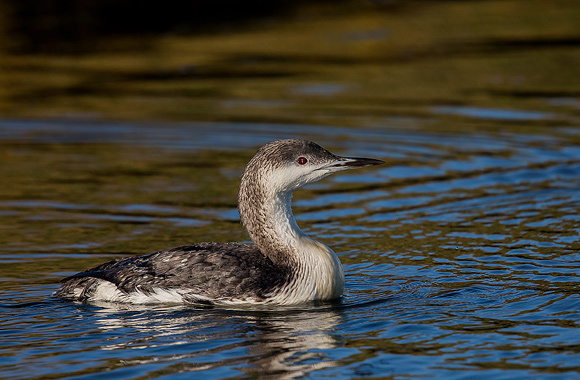 It made it's way to the far corner of the lake and, surprisingly for a Diver, pulled itself onto the shore. 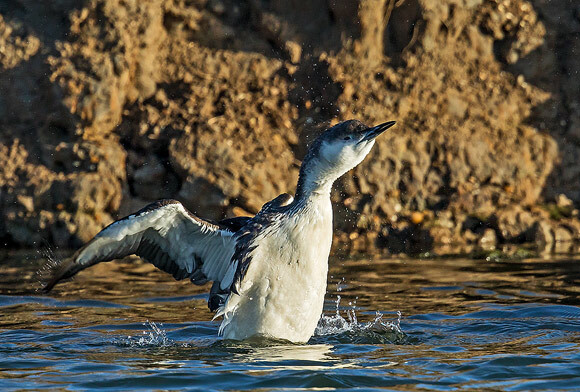 Divers are built for, well, diving, so the feet are located to the rear of the bird but this makes it very ungainly and slow on land so they avoid it as much as possible, mainly staying on the sea. Once again, hundreds of photos later... A delightful bird, made special because it was a first for us both. More images in the Recent Additions section.